Thinking about just heading to the store on Valentine’s Day and fighting over the last dozen red roses? It’s time to come up with a new plan for tackling Valentine’s Day flowers. And, that plan starts with knowing more before you head to the store or begin your online shopping. 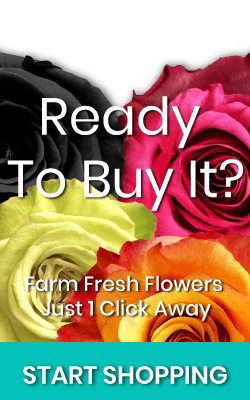 Shopping for flowers for your Valentine can seem overwhelming. We get it! Magnaflor has over 130 different types of bulk roses alone! Luckily for you, we are here to be your own Cupid-in-the-know. Today, we are sharing some less known information about Valentine’s Day flowers. Did you know that the price for roses climbs exponentially the closer it gets to Valentine’s Day? The price can be as much as 50% more than usual. This is because roses are in high demand and people are willing to pay the extra money to express their love with bulk flowers. The Society of American Florists reports that florists “on average charged $85 for a dozen, arranged, long-stemmed roses for the holiday and about $66 for a dozen, unarranged long-stemmed roses.” This is significantly higher than the average price for a dozen roses, which is closer to $20 during other times of the year. 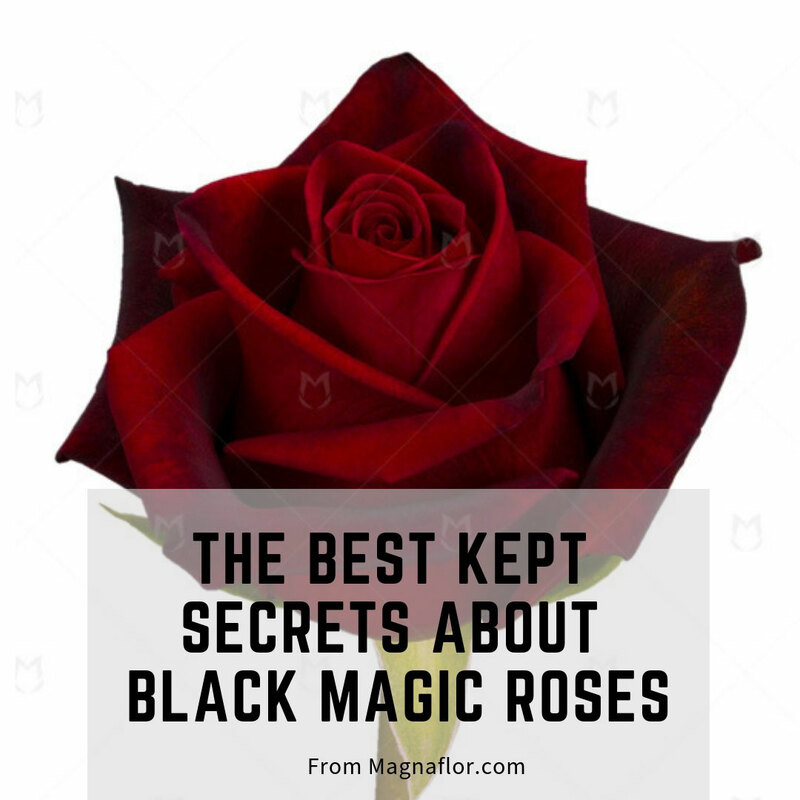 It is easy just to associate red roses and hearts with Valentine’s Day, but the truth is you can use many other flower varieties to express your affection. Generally, all flower prices rise close to Valentine’s Day, but none rise as much as roses. Therefore, you can often find beautiful arrangements of other flowers for less money. Rather than breaking the bank on a dozen red roses, you can surprise your love with a bohemian bouquet or an extravagant arrangement of white calla lilies. Everything seems to be red in February, but it doesn’t have to be. When it comes to the language of flowers, red tends to symbolize love and passion. The color pink symbolizes admiration and romance. The color white represents innocence. However, the color yellow symbolizes friendship, so it might not be the best idea to give your love a bouquet of yellow roses unless you are happy to stay in the friend zone. 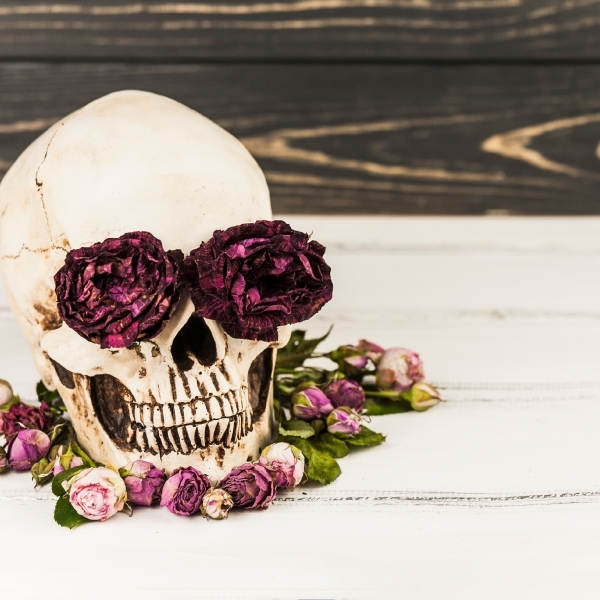 Then again, if your love is a little edgy, she may love a bouquet of a dozen black roses – though the color is typically associated with death. Again, roses seem to get all the attention at Valentine’s Day, but other flowers are in peak season at Valentine’s Day. For instance, orchids, lilies, irises, and ranunculus are all great choices for this time of year. When you buy flowers in peak season, they are likely to be of higher quality and have a longer vase life. The Society of American Florists reports “that about 40 percent of orders were for mixed flowers and 7 percent were for non-rose, single flower type arrangements (for instance, all tulips).” This 40% appears to be composed of mixed bouquets and other popular Valentine’s Day flowers such as chrysanthemums, hydrangeas, and gerbera daisies. If you are hoping to make a Valentine’s floral arrangement with something other than roses, consider peonies which are associated with romance or tulips which also stand for love. When you are shopping for flowers for your loved one, ask your florist for suggestions for flowers other than roses that are representative of love. This explains the significant price hike with flowers the closer it gets to Valentine’s Day. If you purchase flowers for Valentine’s Day, but you do not care for them, you are making a mistake. The flowers you purchase and hand to your sweetheart should last past Valentine’s Day, but they won’t if they are not cared for. Remove any plastic wrapping as soon as possible. Place flowers in a vase with warm water. Place the vase in a location removed from direct sunlight and vents. Remove any wilting or dead flower parts immediately. Continue adding water daily – especially as you notice the water level decreasing. If the water becomes cloudy, it is time to change the water. Ready to use your new knowledge to buy the perfect Valentine’s Day bouquet? View our Valentine’s Day Flowers or all of our flowers today! 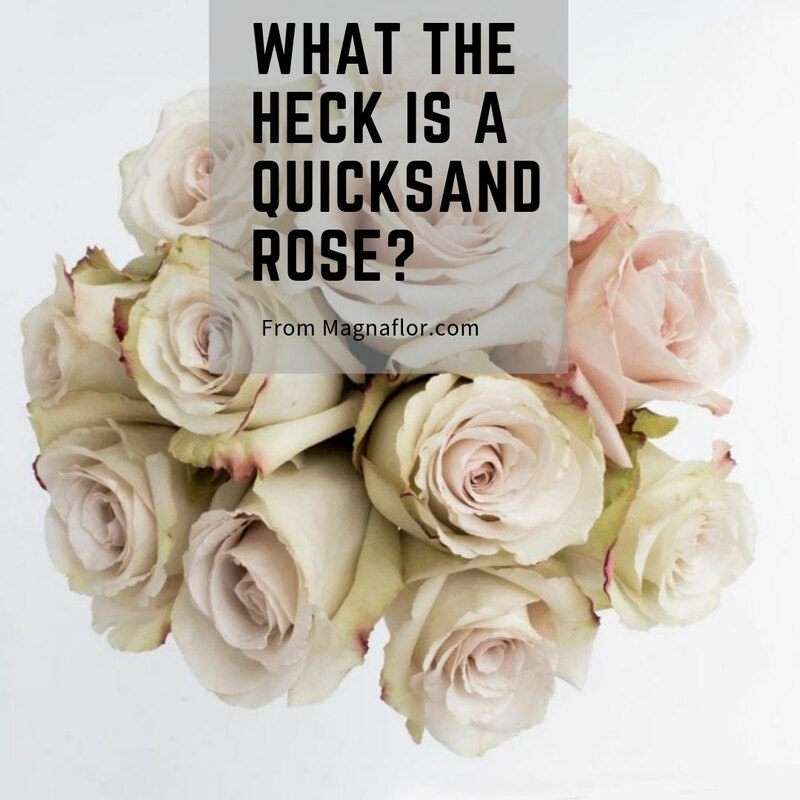 What the Heck is a Quicksand Rose?